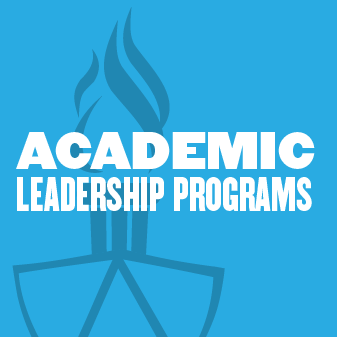 Leadership development is one of the pillars of an Honors College education. We offer diverse leadership opportunities within the college and aim to assist students in advancing their leadership potential. We urge every student to take advantage of these roles and resources. You have the power to make an impact on your community from your very first semester. 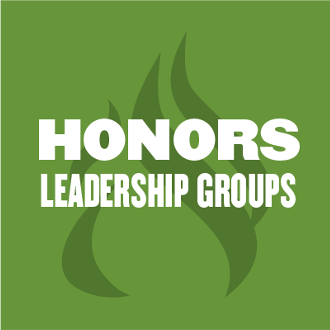 Honors College academic leadership programs provide a structured environment in which Honors College students can experiment with team building and mentorship strategies. In these unique leadership laboratories, students discover and cultivate their essential leadership skills, while receiving invaluable feedback from peers and faculty. All this while having a profound and widespread influence on the Honors community. Collaborating, recruiting, planning, inspiring, uniting—Honors College student leaders are the glue of our scholarly community. These groups and positions form the foundation for involvement within our network of students. From serving as a representative of your scholarly community with the Honors Leadership Council, to being a hands-on contributor of student events on one of our Programming Committees, or sharing your student experience with perspective families as an Honors Ambassador, we have a group that can fit your strengths and interests. 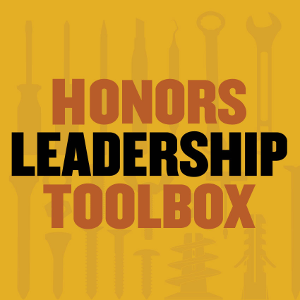 Our Leadership Toolbox video series gives Honors College students the tools they need to succeed academically, on campus and on the job market. The topics we cover, including conflict management, networking, collaboration and social responsibility, can be instantly applied to real world situations. Tap into your strengths, awaken them in others, dig into your Leadership Toolbox.